PSAO is a fresh, young architectural practice focused on designing spaces that combine quality, aesthetics and functionality. Our service runs from concept to completion, and we absolutely love helping our clients discover and realise their unique visions. Our portfolio includes both residential and retail projects, and our work is defined by its clean lines and contemporary flair. A keen attention to detail and an ability to develop unexpected solutions is what sets us apart from the crowd. Paolo Sabbadin, founder and director of PSAO, is a fully-qualified ARB architect. He graduated from the University of Trento’s five-year Civil Engineering & Architecture master’s in 2011. 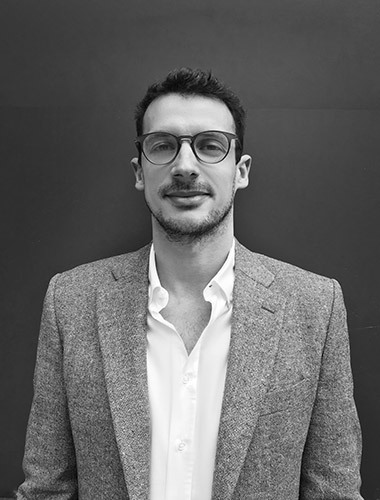 Paolo brings with him ten years of experience designing and carrying out projects in London and abroad. With a background as a professional volleyball player, and a love of off-the-beaten-track travel destinations, Paolo’s sources of inspiration are many. He has a particular passion for creating streamlined spaces with a bright, open character.